This thread gives the current catering options (2013, 2014, & 2015) for the Galleries First Lounge (Flounge) in London Gatwick North Terminal. This lounge is open to BAEC Gold and oneworld Emerald card holders as well as assengers flying on a oneworld First ticket. The catering supplier was changed on 25 April 2013 to BaxterStorey. 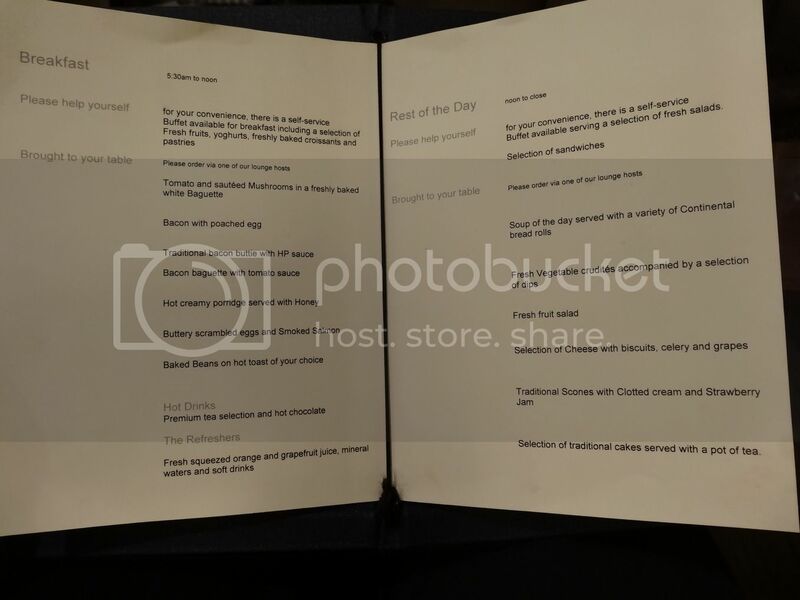 The current catering options in the First lounge can be found in this post in the thread, or you can click here. 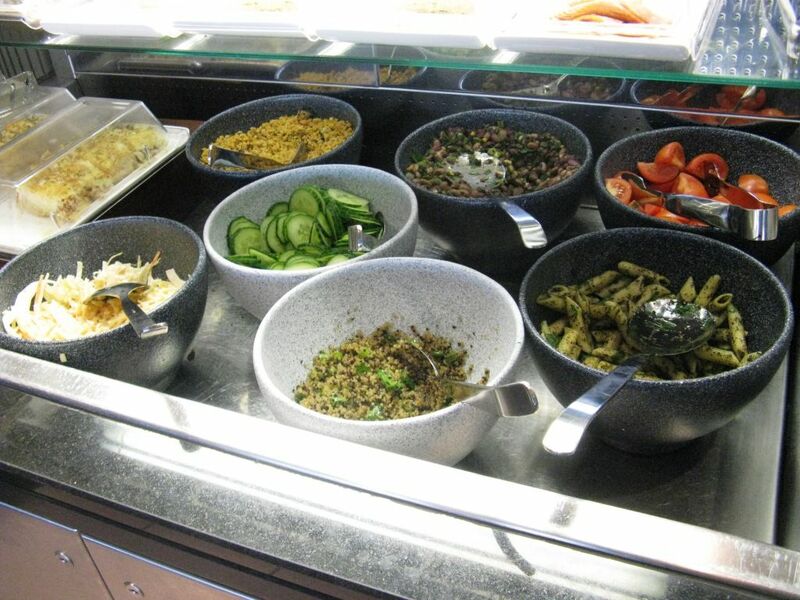 From 25 April 2013 the food options in the First Lounge (Flounge) at London Gatwick North Terminal have changed, after BaxterStorey was appointed to run the food and beverage operations. English cheeses and charcuterie, with apple and cider chutney and British savoury biscuits. Chifferini pasta with a rich Leicester with British Cheddar cheese and English Mustard Sauce (suitable for vegetarians). Soup of the Day - ask the host for today's choice. Served with croutons, chilli flakes and seeds. 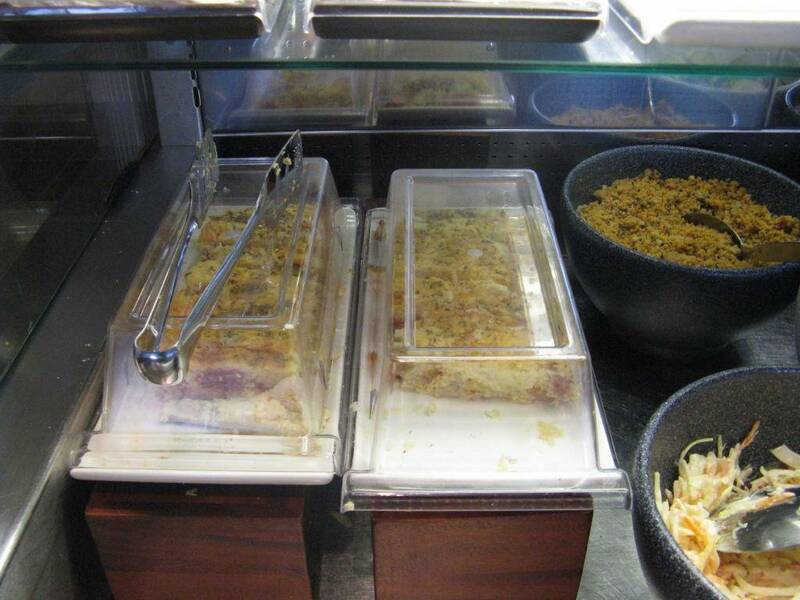 The salad options include cous cous, mixed bean salad, salami Napoli, chorizo, shaved pastrami, quiche. jelly, with oatcakes and Carrs Water biscuits (both types). 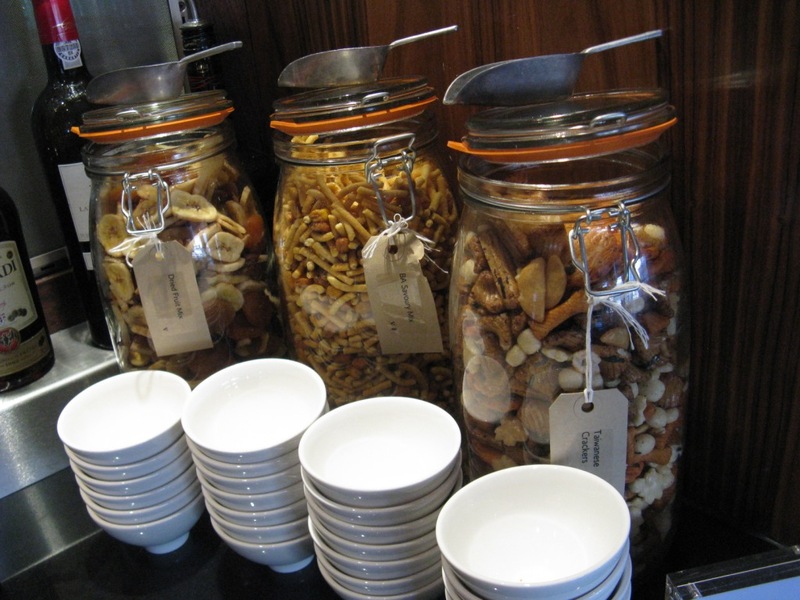 Dried fruit mix, BA savoury mix (watch out Admirals Club! ), Taiwanese crackers. In addition there were two other food areas, with fresh fruit (pears, apples, bananas and oranges); and biscuits from Island Bakery Organics (handmade biscuits from a husband and wife business on the island of Mull). The biscuits are emphatically a premium product, at the time of writing there were 2 types on offer, apple crumble and chocolate and soft ginger. They were served from a large Avery glass jar (as used for pickling), unfortunately I didn't see any tongs, but they are not wrapped, which is perhaps just as well since they would be pilfered. A modest update in options now available, mainly soup related. New menu from 12 March 2014. We have recently appointed a new supplier in our UK longes and we are delighted to announce that the transition has begun. 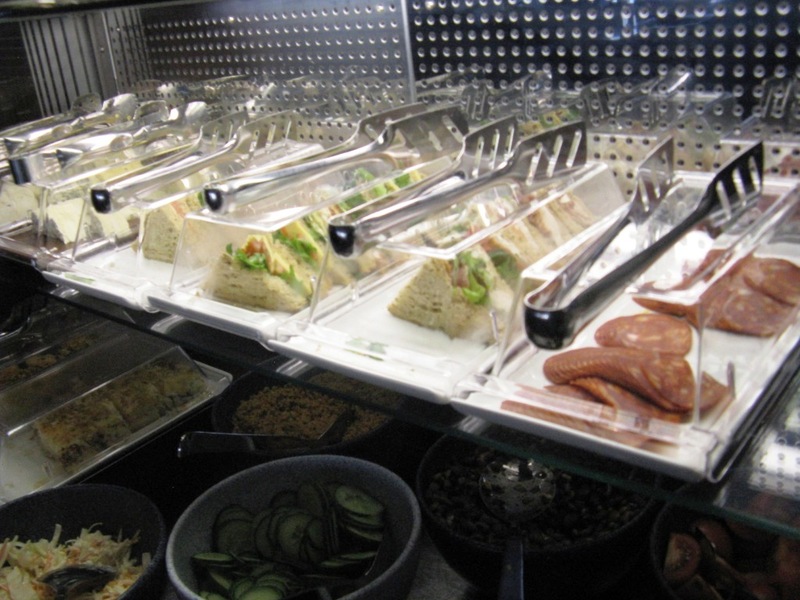 BaxterStorey is the UK's leading independent food service provider. The company attributes its success to a passion for fantastic food made from the freshest, locally sourced ingredients, delivered by highly skilled chefs. BaxterStorey prides itself on the quality of the people it employs, focuses on coaching and development, and demonstrates significant commitment to a sustainable operation. We are delighted to be working with them on our lounge offering. London Heathrow (T1) - 16th May. You will see some changes immediately in the lounges in terms of new uniforms for our teams, different serving equipment and some changes to our food and beverage offer. We have a program (sic) of change planned, which will roll out over the next few months. We believe these changes will provide you with an enhanced lounge experience and we look forward to your feedback. Looks good! Let's hope they can keep it up. Sorry for this (maybe) basic question, have never been to the GF at LGW, but it seems that there is only one hot "made-to-order" option on the menu during the day. Compared to LHR this seems quite inferior? Is this new or has this always been the case for LGW? 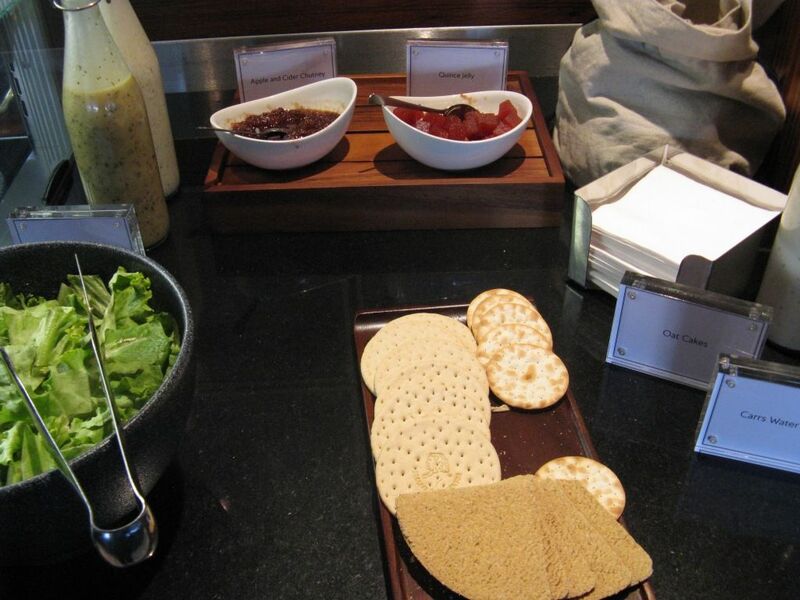 Salad options look much improved as does the cheeseboard. No more poached eggs? Oh, well, enjoyed them when they were there. Looks ok to me overall. No bad thing to have a freshen up. Is this new or has this always been the case for LGW? It's always been much more restricted than LHR AFAIK. Oh I see, thanks for the quick reply. Wasn't aware of it. I was there on Friday morning and there was also a sign saying that the bacon baguettes were available all day - i.e. not just from noon, as the menu suggests. Hmmmm, well going on holiday with better half and his parents in F to BGI on 15th May not looking great for brekkie compared to what is on offer in the LGW VS Clubhouse where his parents normally frequent!! I was in LGW FL on Friday, the sandwich options were basically the same as CE afternoon tea. Only three types to choose from! Bring back chicken & mayo and the sausage relish sandwich! Poor options for crisps too. No hot breakfast readily available to anyone who doesn't eat bread. That's not ideal. OT: Have you been in the LGW VS clubhouse? Is it comparable with the LHR one? If so the LGW Flounge would be a big disappointment even with the old catering. Might be good if you give BA constructive feedback on your visit, particularly if you can compare with the VS offering. Compare what you liked with the old offering too. Thing is LGW really did need some catering improvements, but it seems like they've also reduced their quality.